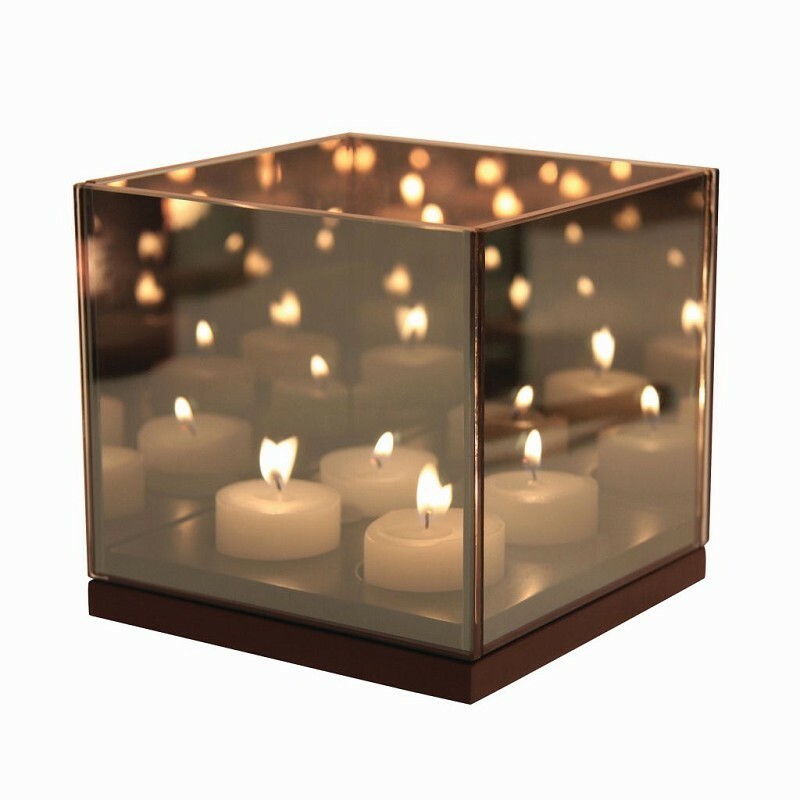 The Reflection tealight holder is available in black smoked or gold glass. 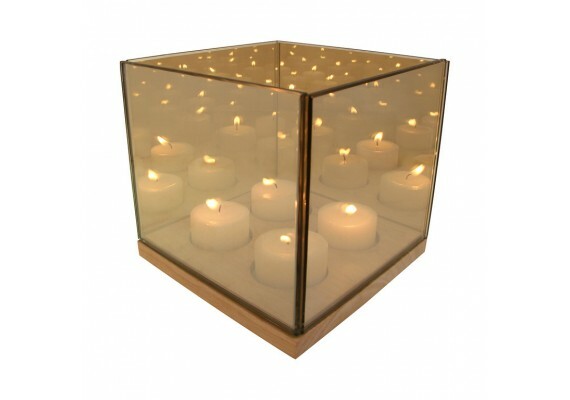 If you burn the candles there appears a beautiful reflection of light in the mirrors. 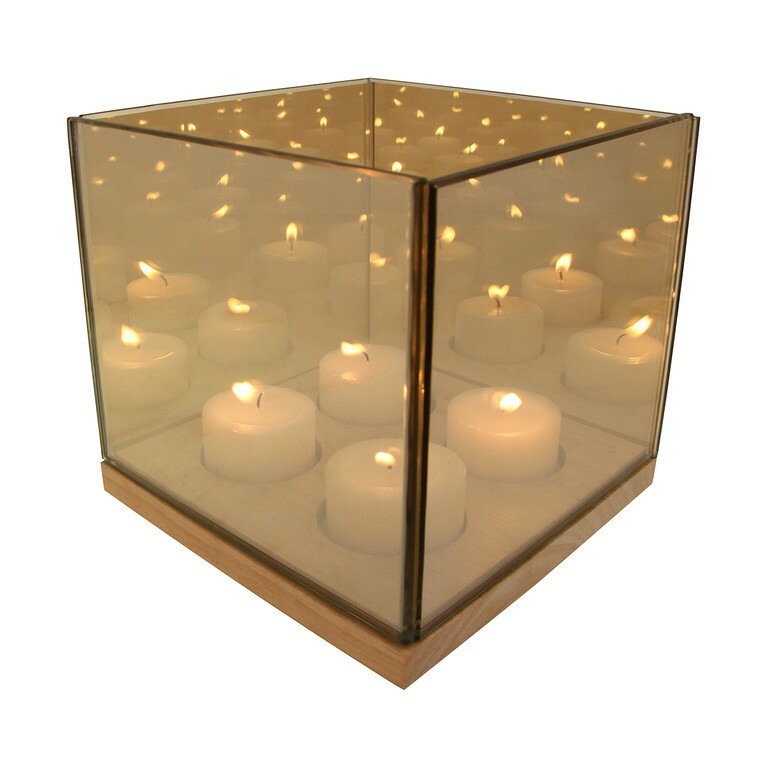 Reflection can hold four tealights. A wonderful gift to give or receive. Size: 14 x 14 x 13.5 cm.